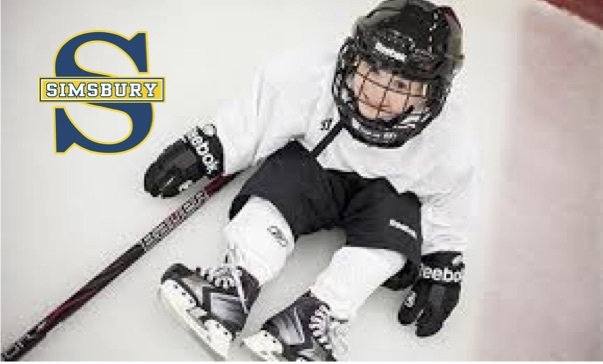 Simsbury Youth Hockey is excited to announce our new First Step Hockey Program! First Step Hockey, led by Head Coaches Paul Melanson and Pete Burke, is a beginner program available to all players ages 4 and older to introduce them to ice skating in preparation for their journey to hockey! Players will work on their skating skills while developing their interest in hockey through fun and games. The purpose of this program is to develop on-ice familiarity, coordination, and strength. No skating experience necessary (skating aids will be allowed). This program is open to boys and girls from any local area town. The program will run simultaneously with our Hockey Stars program. Players will advance to Hockey Stars when they have demonstrated basic skating ability (timing will vary by player and will be at the full discretion of the First Step Hockey and Hockey Stars coaches). Required equipment – Hockey Skates, Helmet (with face mask highly recommended), Gloves. Hockey stick and full equipment (elbow pads, shin/knee guards, pants) recommended.